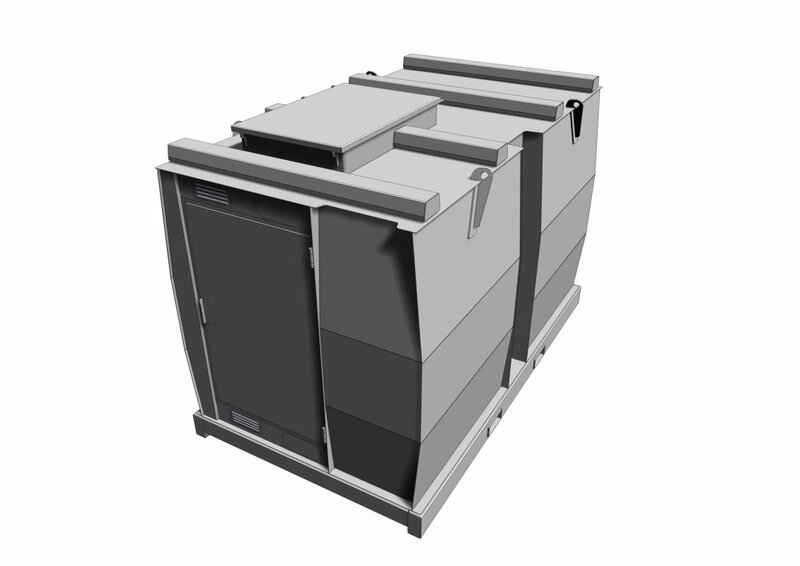 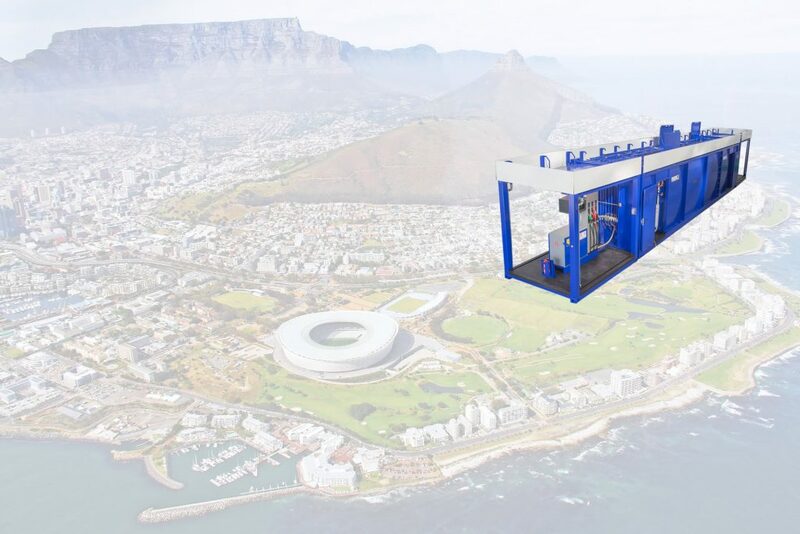 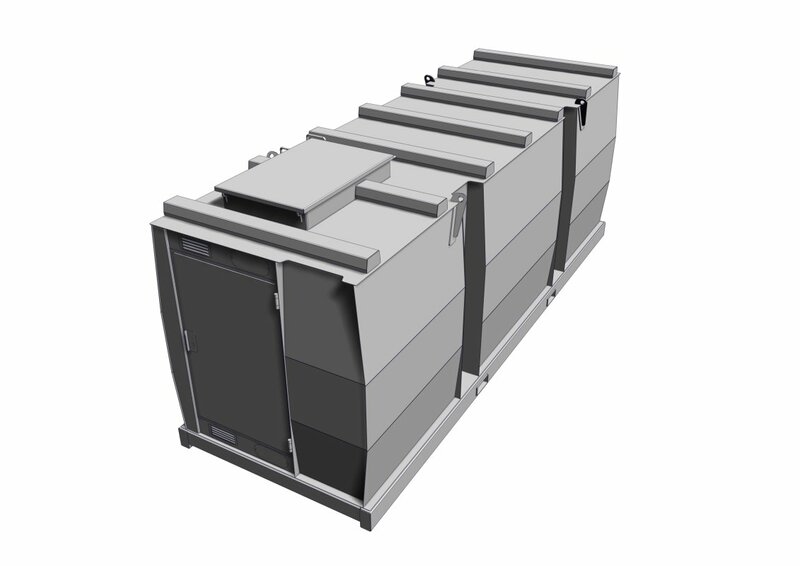 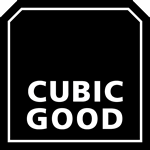 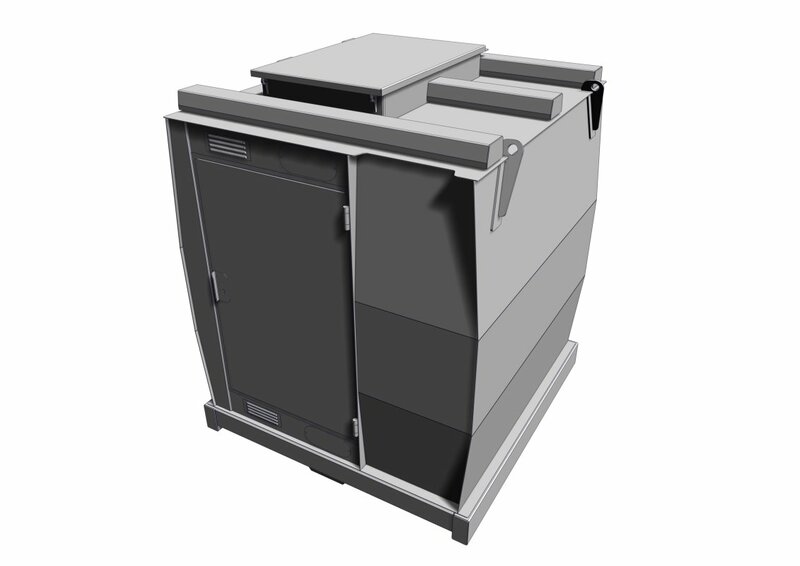 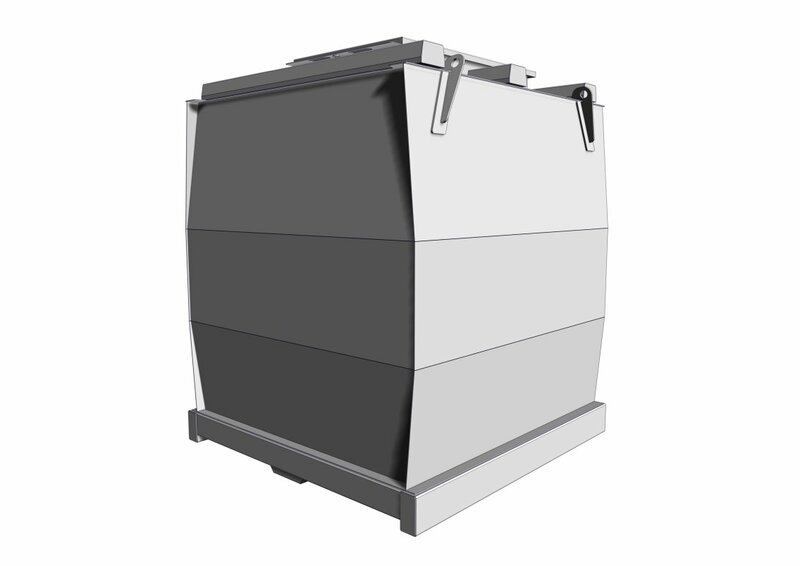 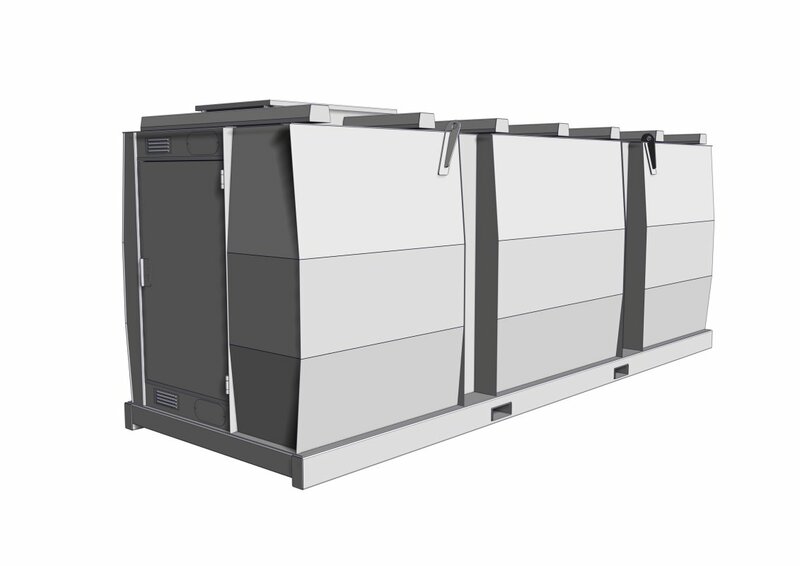 The Smart tank container is designed for the storage of fuels, mineral oils and urea solution outside of buildings. 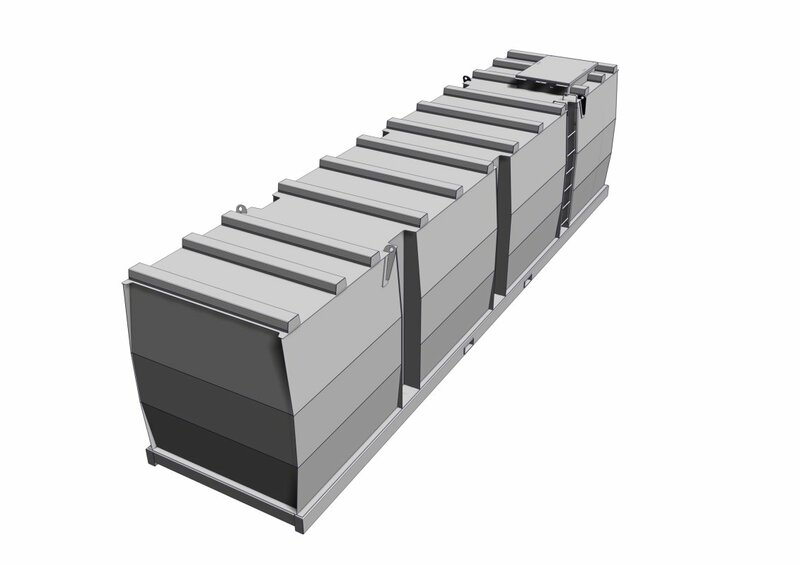 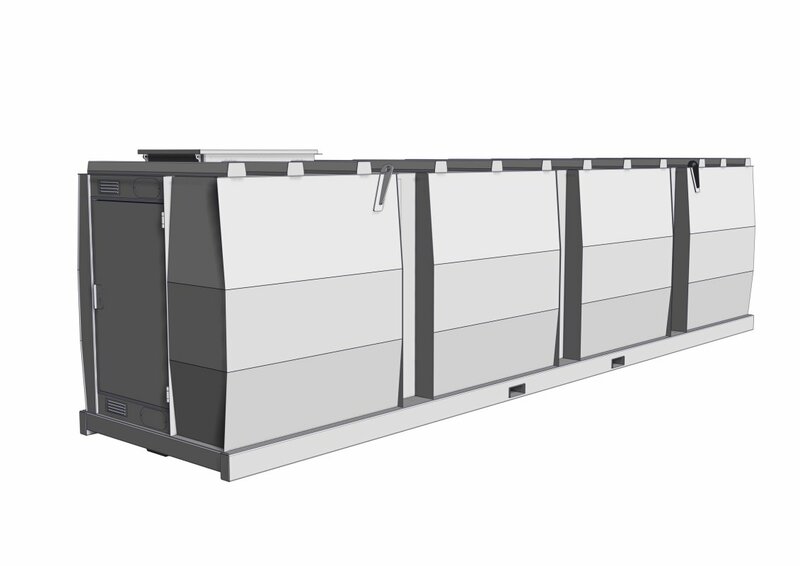 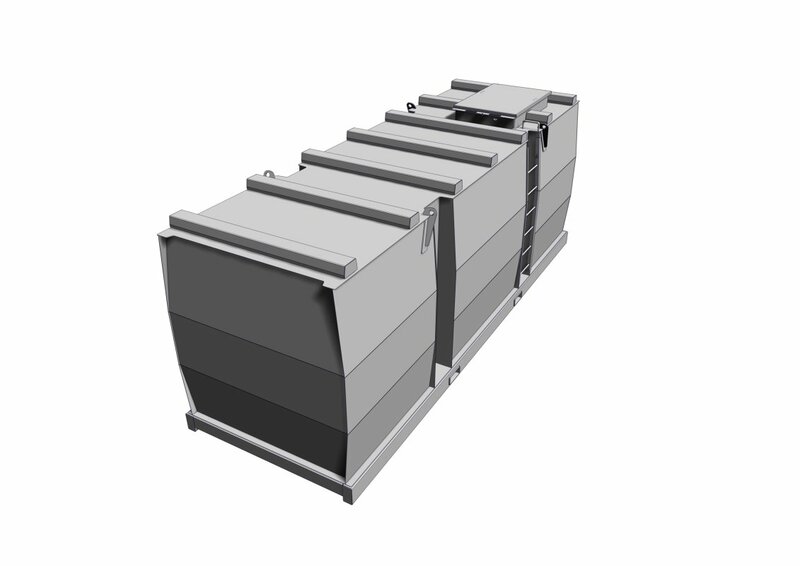 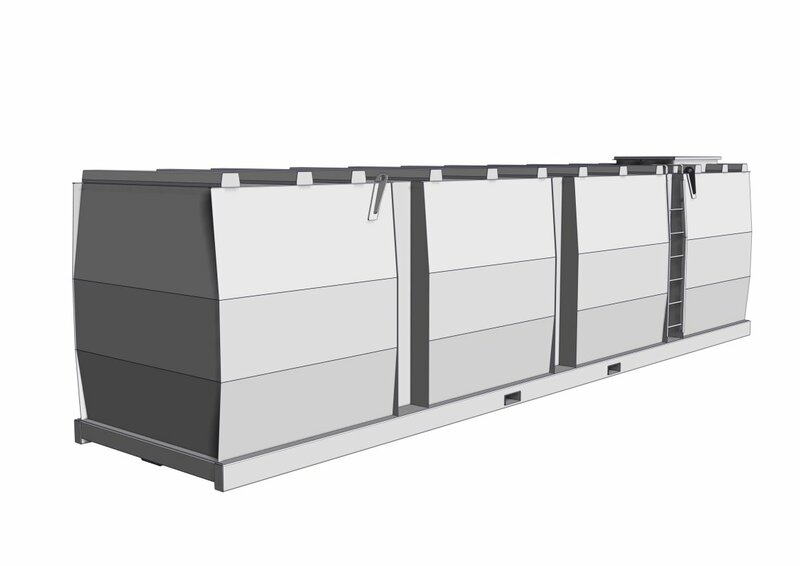 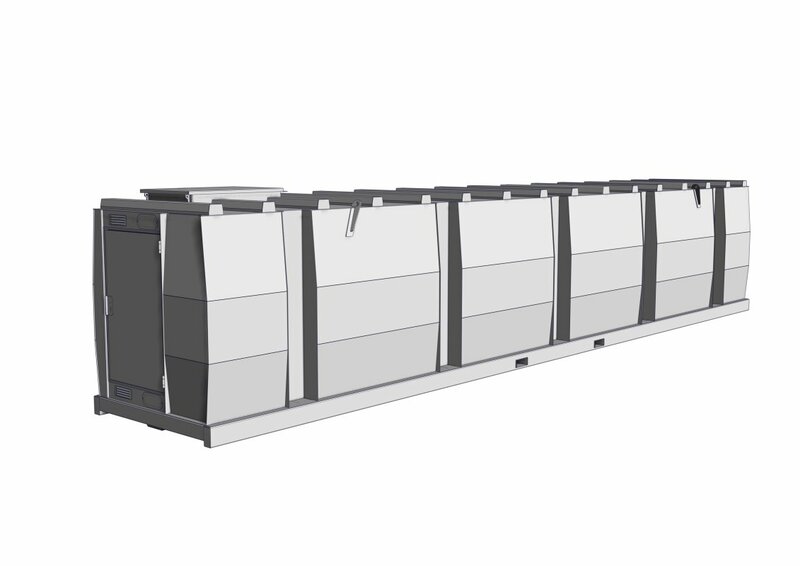 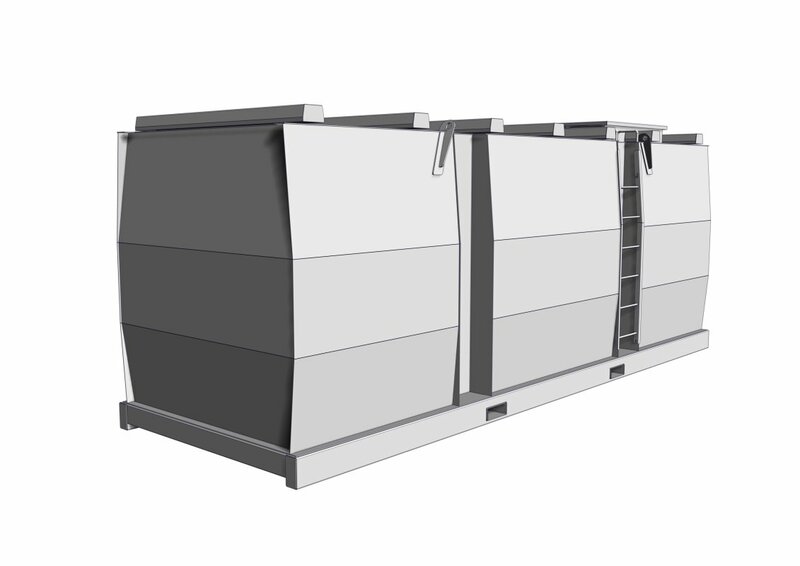 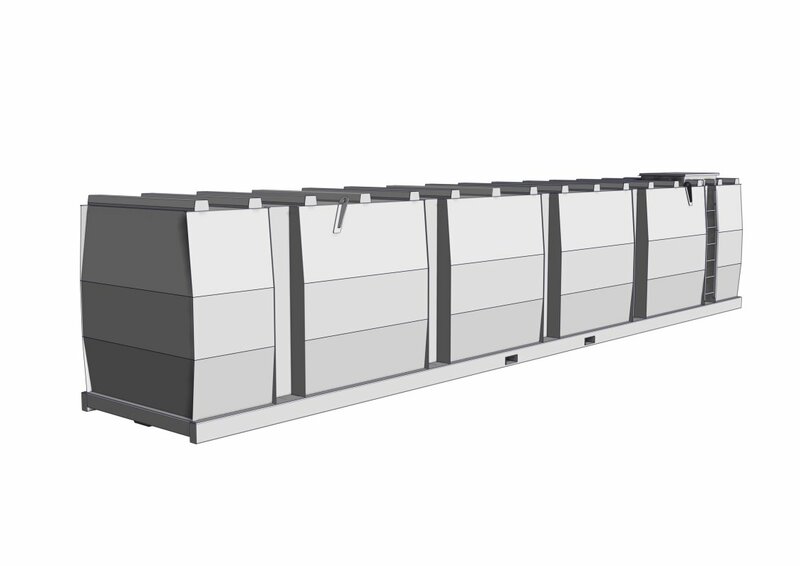 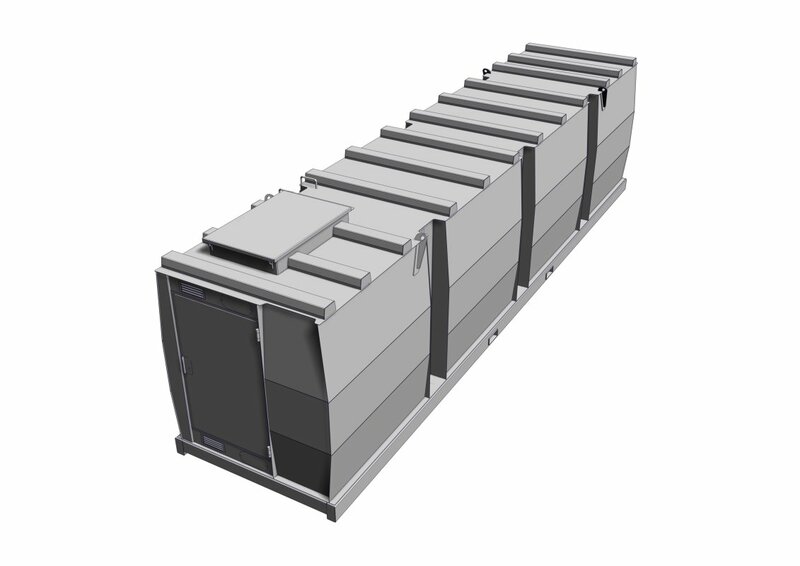 It is a multifunctional double wall cubic tank body with an equipment niche in the front wall conceived for the use as a storage tank or process tank/petrol station for the inside/outside installation. 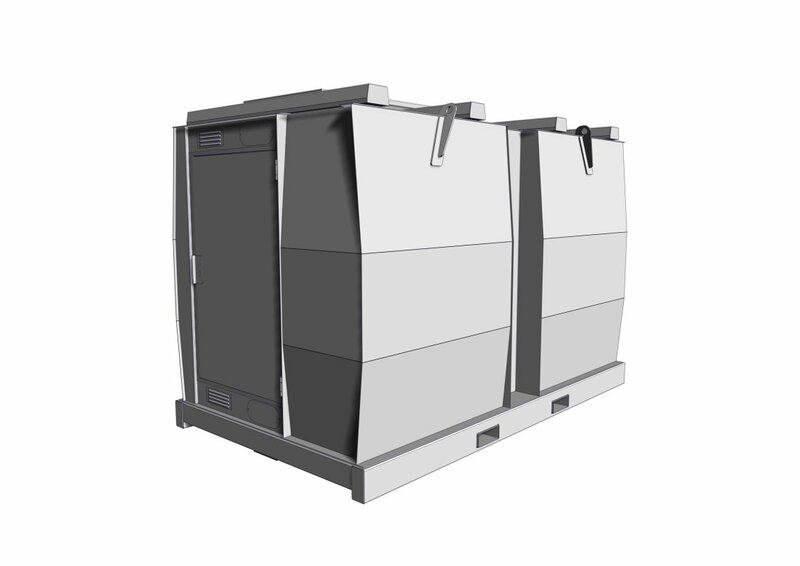 The equipment niche is locked by a door. 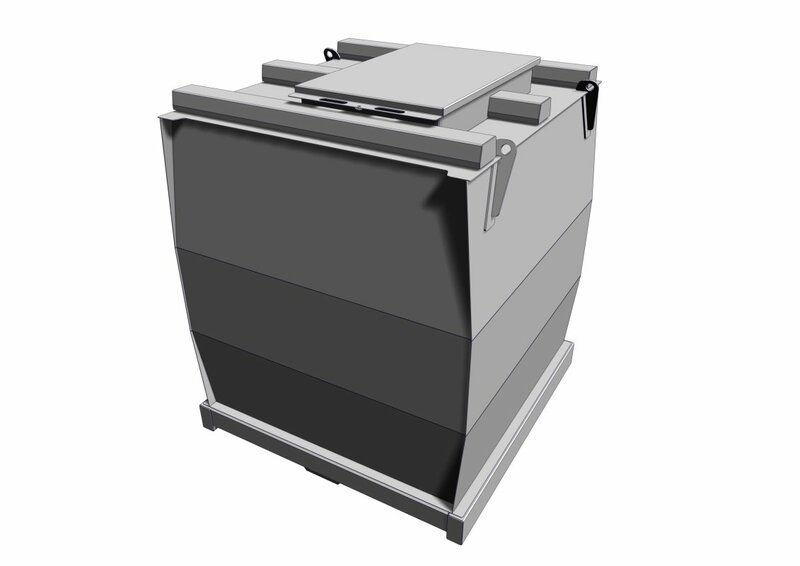 The man hole and the flanges on the roof side for the installation of the fittings are protected by a hatch element. 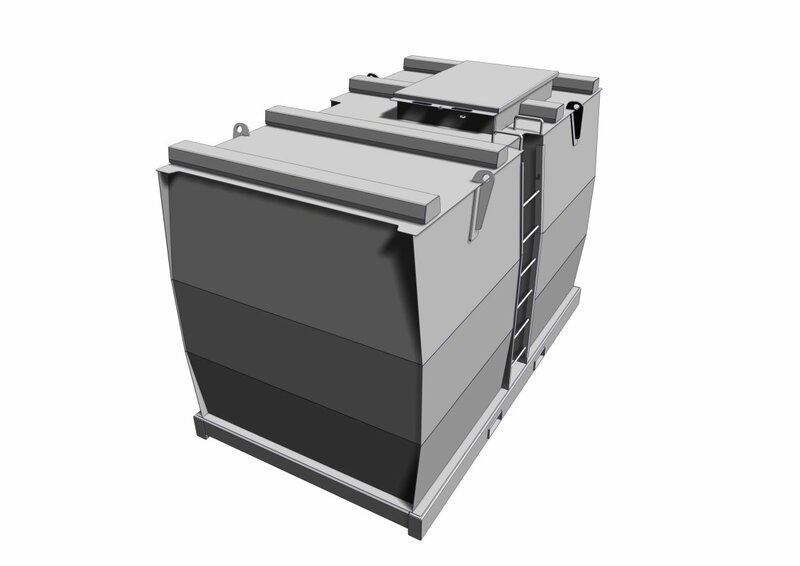 The penetration opening above and below the door are used for the penetration of pipes and cables. 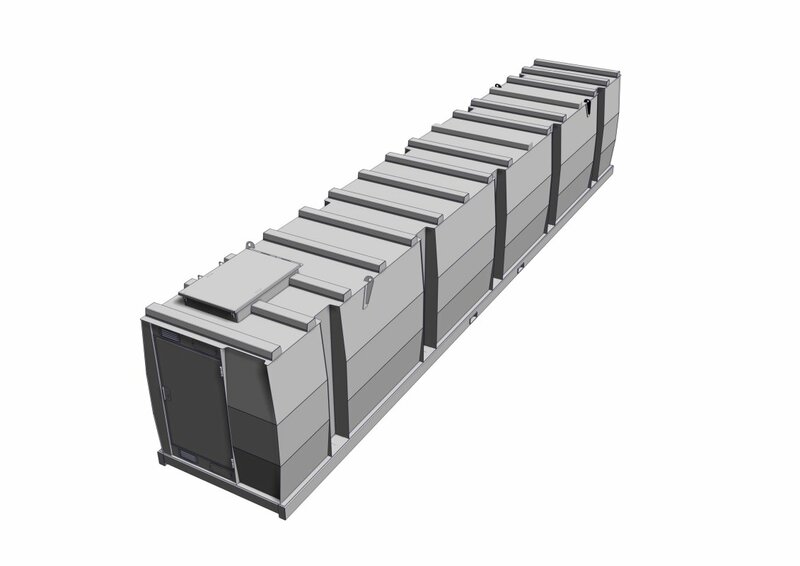 In the front side of the KCS is an equipment niche situated, in which the vacuum leakage detector is located. 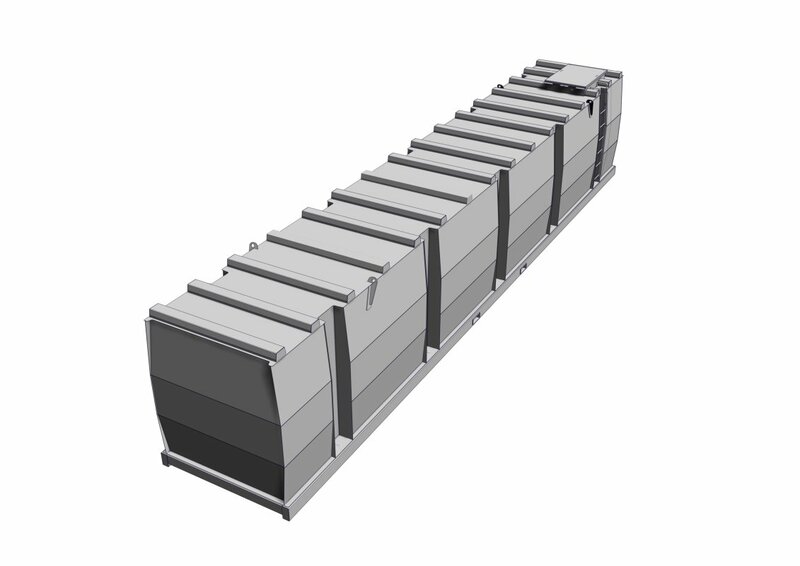 Furthermore additional pumps can be installed here which can supply external decives. This equipment niche is being locked by a door. 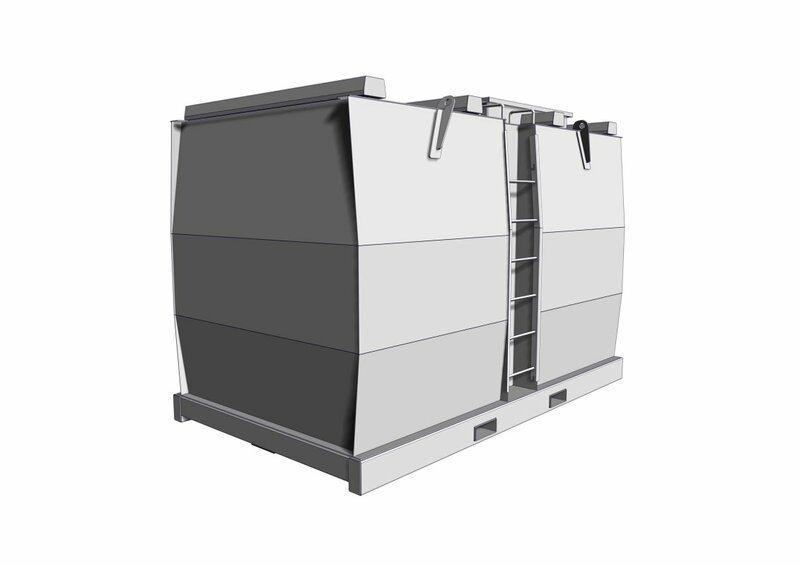 On the tank roof a lockable hatch element is located, which can include the installed fittings on the rooftop.